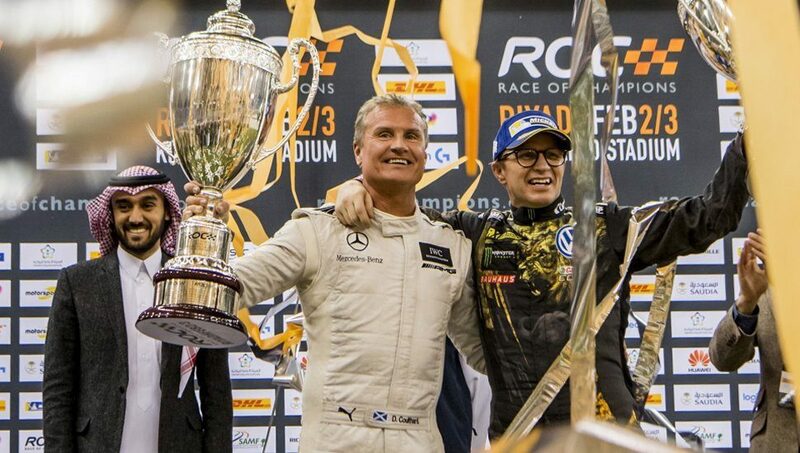 The draw for this weekend’s Race Of Champions (19-20 January) has thrown up a selection of mouth-watering match-ups as some of the world’s greatest drivers bid for the title of ‘Champion of Champions’. Mexico City’s Foro Sol – the iconic stadium section forming part of the Autódromo Hermanos Rodríguez Formula 1 circuit – played host to today’s draw. ROC Mexico Project Manager Juan Pablo Sánchez and Mexican TV presenter Giselle Zarur picked the group line-ups. 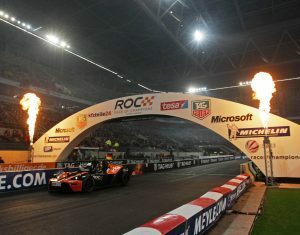 There are already a number of ties guaranteed to quicken the pulse of any race fan – featuring some of the world’s best drivers from series including F1, IndyCar, NASCAR, Rallycross and Le Mans. 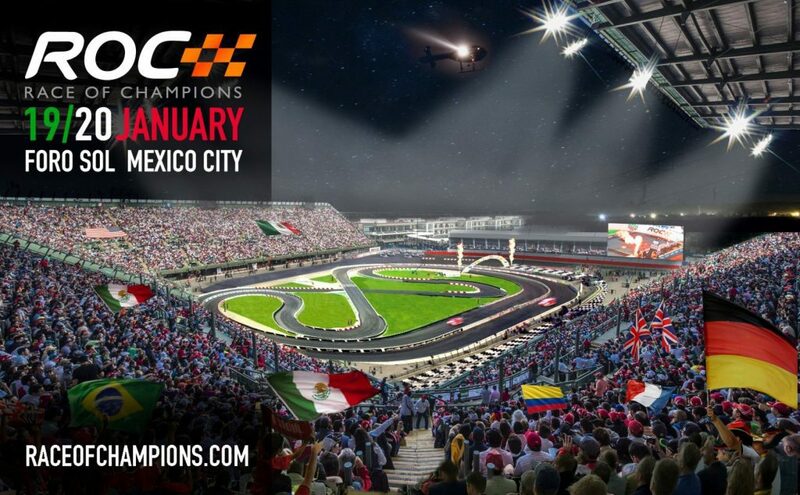 The home crowd will have plenty to cheer as Mexican drivers take on the cream of the current Formula 1 grid in Sunday’s individual race. NASCAR ace Daniel Suárez will race four-time F1 World Champion Sebastian Vettel while home F1 star Esteban Gutierrez will go up against Red Bull Racing’s latest recruit Pierre Gasly. Mick Schumacher will also have a potential race against his fellow German Vettel if he can win his first round play-off with Mexican sportscar ace Memo Rojas. Elsewhere Mexico’s 2018 Indy Lights Champion Patricio O’Ward will have to battle ‘Mr Le Mans’ Tom Kristensen and 13-time F1 grand prix winner, Dumfries and Galloway’s David Coulthard, while reigning World RallyX Champion Johan Kristoffersson will face Formula E Champion Lucas di Grassi and 2017 IndyCar Champion Josef Newgarden. 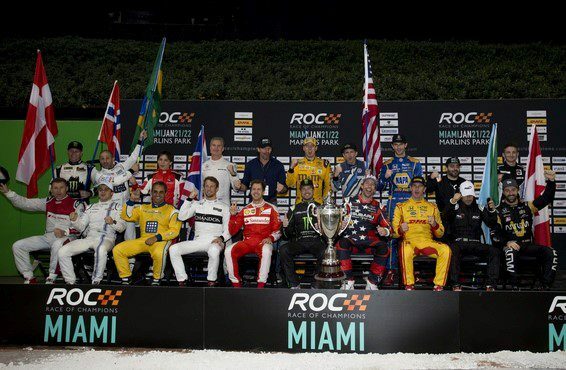 *Before each day’s action Mexican drivers Rubén García Jr, Pancho Name, Abraham Calderón, Martín Fuentes, Ricardo Triviño, Rubén Rovelo, Ricardo Sánchez and Ricardo Cordero will fight it out for a place in the ROC field.